Good news everyone! You can now connect your Polar Flow account with Nike+ Run Club. Enable the connection, track your runs with your Polar product, sync them to Polar Flow and they’re automatically synced to the Nike+ Run Club app available for iOS and Android. Now you can enjoy the benefits of the Nike+ Run Club social community to help motivate you to stick to goals and have fun while reaching them. Compare and compete with friends and fellow runners on leaderboards, customize post-run sharing by adding photos and stickers and get motivation from Nike athletes like Kevin Hart, Mo Farrah and Allyson Felix. To get started, log into your Polar Flow app or web account, go to settings, locate the new Nike+ link and choose to connect your Flow account with Nike+. How can I use Polar Flow with Nike+ Run Club? 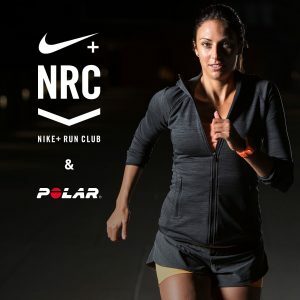 The connection between Polar Flow and Nike+ Run Club works one way: all the runs you track with a Polar Flow compatible Polar product are synced first to Polar Flow and from there on to Nike+ Run Club. You’ll see your sessions stats in the Nike+ Run Club app without the need to manually enter them.